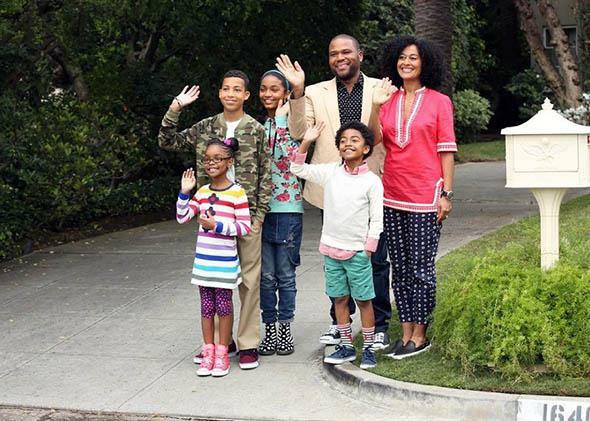 Black-ish on ABC: The show’s title may be provocative, but it’s not offensive (VIDEO). In its first season, the sitcom has more than earned its provocative name. At the conclusion of each Black-ish episode, there is no hard and fast “definition” of what it means to be black. The first season of Black-ish ends next month, and there are no signs that Barris or ABC plans to heed their critics. * The title, for now at least, remains the same. And for good reason: It’s been a reliable hit for ABC and, in all likelihood, will return for a second season in the fall, proving that, unlike, say, Cougar Town, its name hasn’t been a barrier for those who otherwise might enjoy the show. This is what Black-ish does often, and usually well: It unabashedly twists, expands, flips, and contorts our ideas about race, class, and gender. It offers a non-PC but honest look at what it can feel like to be black in America today. Frequent comparisons are made to The Cosby Show, and that’s not totally off-base—just a couple of weeks ago, the show made a direct reference to one of that show’s classic musical moments. But when it comes to racial specificity, Black-ish more heavily resembles Lee Daniels’ Empire. The soap opera is far too quick-paced and plot-heavy to spend too much time digging deeply into racial politics (which arise mostly in a “thot” line here, a line about appearing on “white TV” there), but both shows are doing something The Cosby Show never did by acknowledging that race actually exists. As written, the Johnsons and the Lyons are undoubtedly black, and the writers seem to trust that their non-black viewers will find a way to connect with their characters. At the conclusion of each Black-ish episode, there is no hard and fast “definition” of what it means to be black—in the episode about Zooey’s boyfriend, for instance, Dre ultimately realizes, in true (cheesy) sitcom fashion, that, in his eyes, no one his daughter dates will ever be good enough for her. Black-ish is all about exploring that grey area, and expanding upon the idea of blackness in the 21st century—in the same way, you could say, that the term “monogamish” is all about expanding the notion of what love, relationships, and commitment can mean now. Both terms are provocative, but these days, we need such words more than ever.